Last week we introduced you to a handful of the speakers who will be leading our TO DO Talks Symposium. Today, we’ve got a few more we’d like you to meet. TO DO Talks Symposium is a one-day event to explore how design impacts the world around us and how it can make a difference. Here are the insightful designers who will be leading session 2 of the symposium. Karen Oikonen is a design researcher and service designer focused on developing interventions to better support families during the end-of-life experience. With a professional background as a visual communication designer, Karen believes human-centred design provides the opportunity to encourage end-of-life discussion in a Canadian society that is currently unable, or unwilling, to discuss death and dying. As a research associate with Saint Elizabeth, Karen is building a platform for sharing end of life wishes. She also contributes to the service design team at The Moment, focusing on healthcare and innovation and is part-time faculty member at Sheridan College, teaching design thinking in the York/Sheridan Program in Design. With over a decade of experience in healthcare and public health, Pam draws on her diverse background to bring innovation to public health using a mixture of evidence-based research, policy and creativity. Pam currently works in health policy, system planning and strategic development with the Ontario government as a Senior Advisor, and previously worked with the World Health Organization as a front-line nurse in Vancouver’s Downtown East Side. She is currently a DiverseCity Fellow with CivicAction. Pam recently produced and co-wrote a documentary about a patient’s lived experience navigating the transplant system, using storytelling as a form of engagement by creating awareness at the individual and broader system levels. Karen & Pam will explore how design methods can make a difference in the health of Ontarians, specifically in rebuilding the narrative about end of life. The women explain that many Canadians are uncomfortable discussing death and dying, and most of us do not make plans for end of life. They’ll propose adopting a design-led, human-centred approach that uses aspects of behaviour, application, emotional needs, and individual motivations to build successful outcomes. Many Canadians are uncomfortable discussing death and dying and most of us do not make plans for end of life. Yet with increasing advances in medical interventions it has never been more important to consider how we want to live our final days. How and when do we plan for something we don’t want to talk about? We propose that design methods can make a difference and shift the conversation from “death dying to discussing.” By adopting a design-led, human-centred approach to engage people in shared storytelling, through pop-up events and online platforms, we can re-build our narrative about end of life. 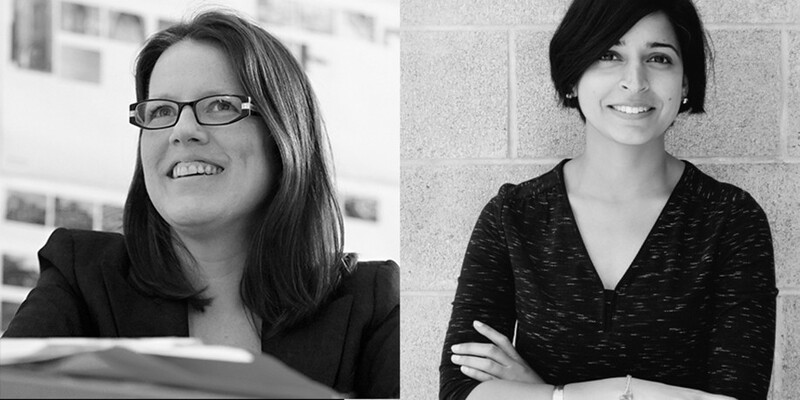 Hear from these two women and 6 other influential designers at TO DO Talks Symposium: Do Good, Do Design, Do Things That Matter on January 23. Don’t forget to RSVP, and check our blog next week as we introduce the remaining speakers.